Here’s a little stat for you: Ashley Cole has started in every single one of his 99 England games to date and, given that he’s all set to win his 100th cap by starting against Brazil tonight, we have to mark that as a truly momentous achievement. Is he England’s greatest ever left-back? Yes. Altogether better and a more rounded player than Stuart Pearce and for far longer (even Stuart Pearce says so), and there isn’t really another name that draws comparison: Eddie Hapgood, Roger Byrne, Ray Wilson, Kenny Sansom, Graeme Le Saux? We’d argue that Cole comfortably pips them all. 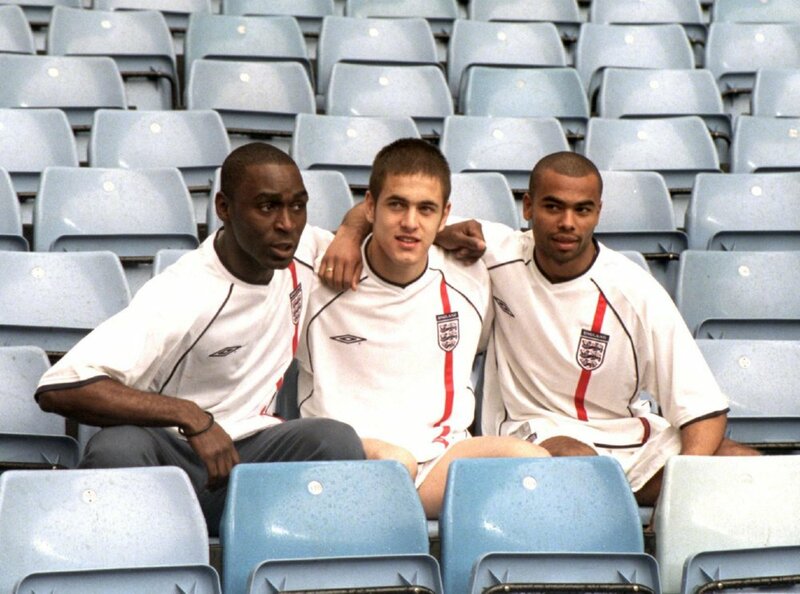 England three "Cole's," Andy, Joe and Ashley, 2001. Always end on a high! Just feel like mentioning Carles Puyol got his 100th cap today, too. Somewhat different player.